New York Times best-selling author Nikki Grimes has received numerous accolades for her writing, including the Coretta Scott King Award. 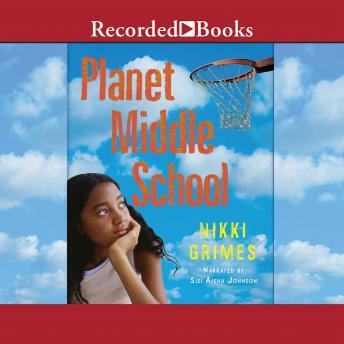 In Planet Middle School, 12-year-old Joylin Johnson is satisfied with her life. Everything seems pretty simple: a nice, relaxed game of basketball with the boys is all she needs to keep her happy. But it all changes when her best girl friend starts flirting with her best guy friend. Then a new, cute boy comes on the scene-and despite herself, Joylin starts acting weird just to attract his attention.